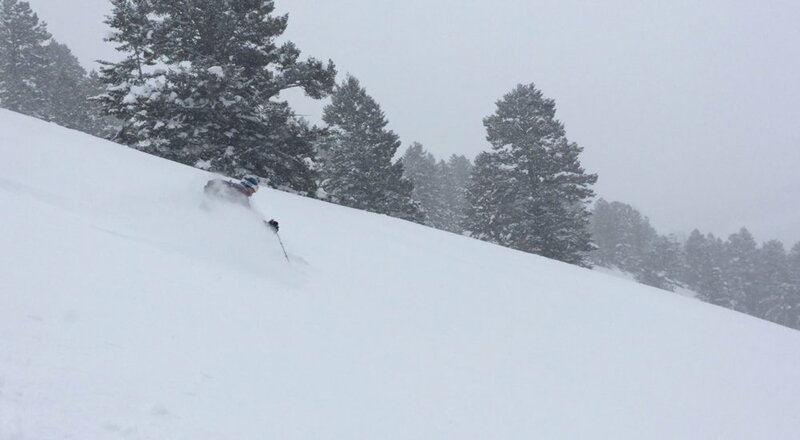 The storm continues to pound the mountains: twelve inches in the last 24 hours, 21″ storm total, and more coming. 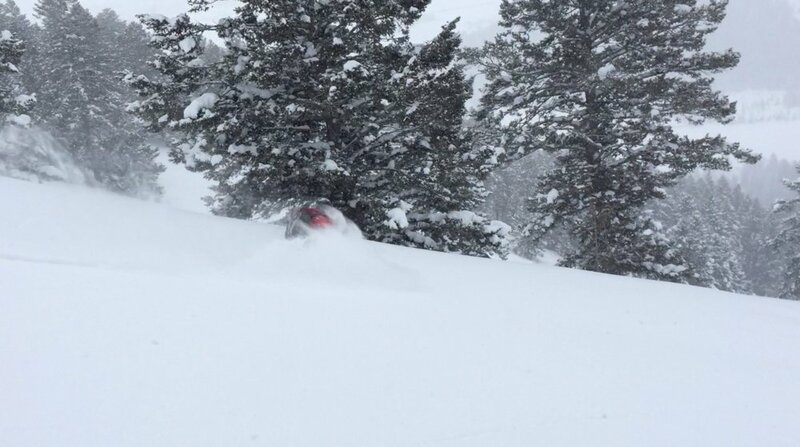 This is the kind of storm cycle that the Tetons are known for. The conveyor belt is on. 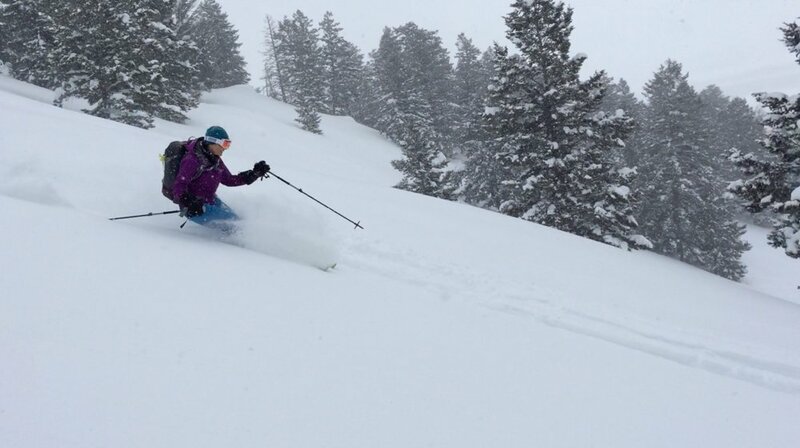 Again, the east side got more snow, so we went “back east,” and it was another amazing day. 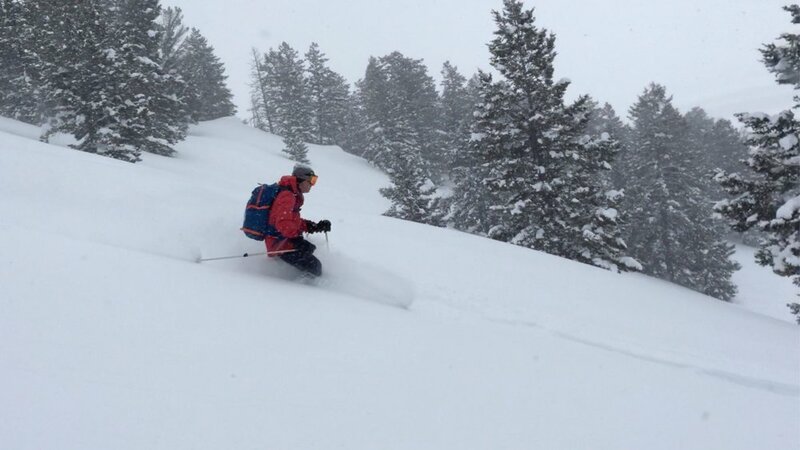 Knee deep untracked snow, and we didn’t see any other skiers. Lovely. Not quite as good as yesterday, but very very good. All four of us were grinning like idiots after every run.